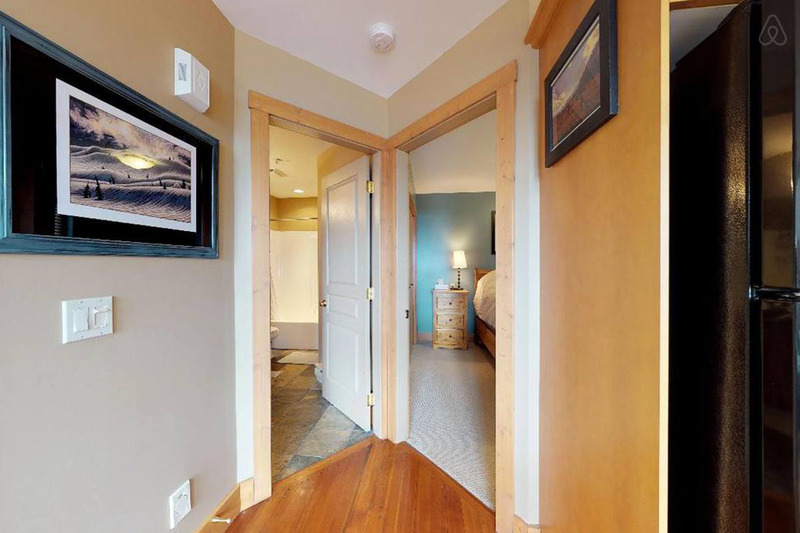 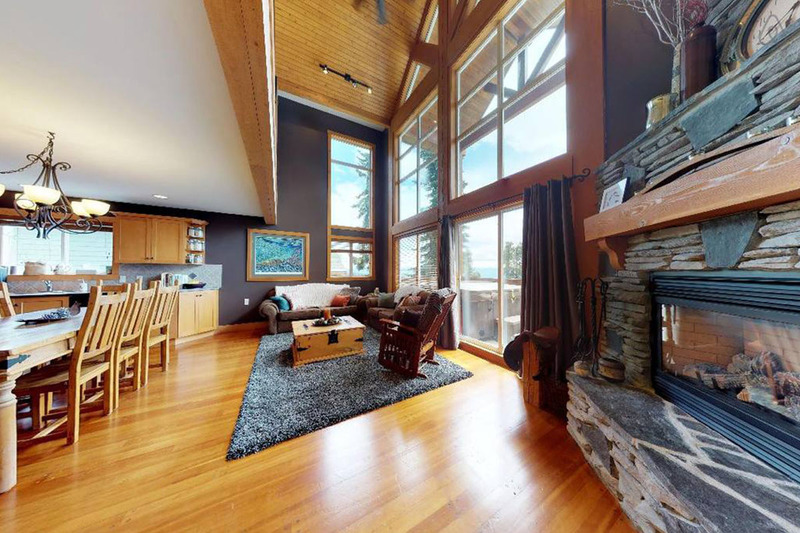 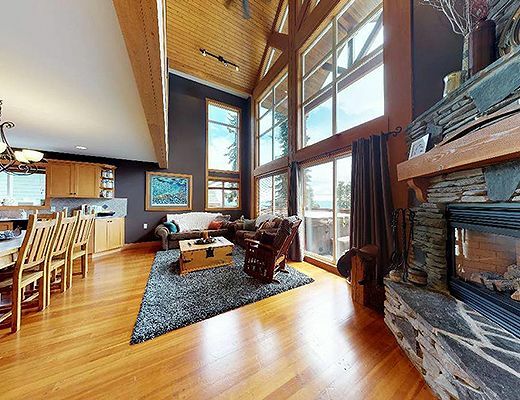 This bright unit features a stunning two-story rock fireplace, exposed Douglas-fir beams, and beautiful woodwork throughout. 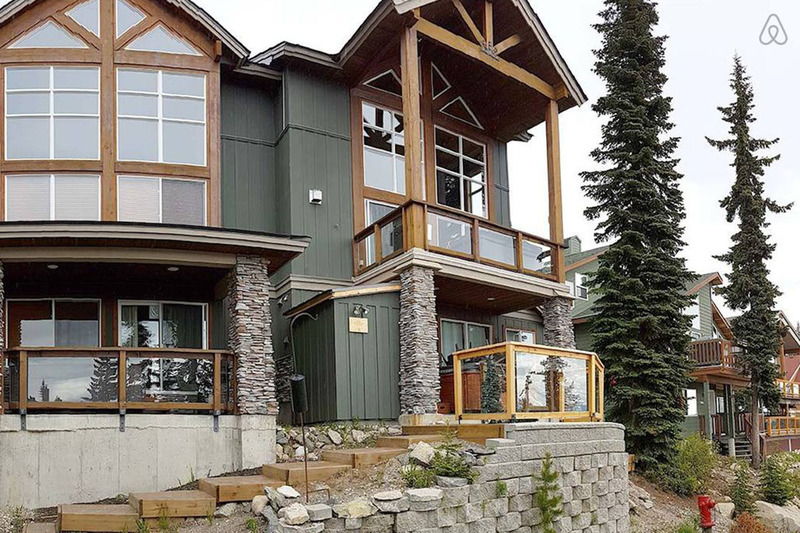 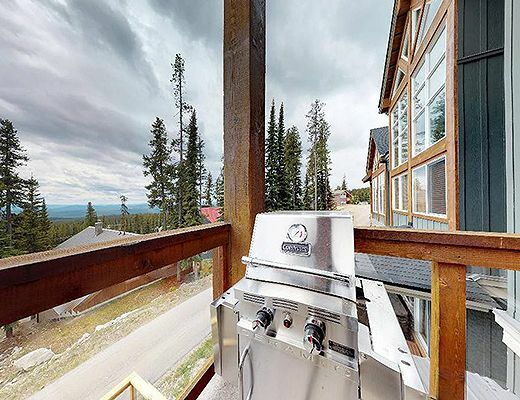 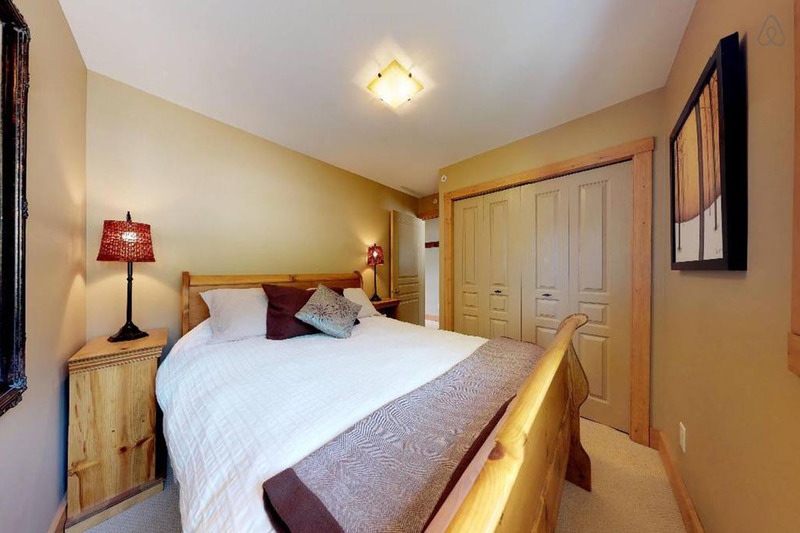 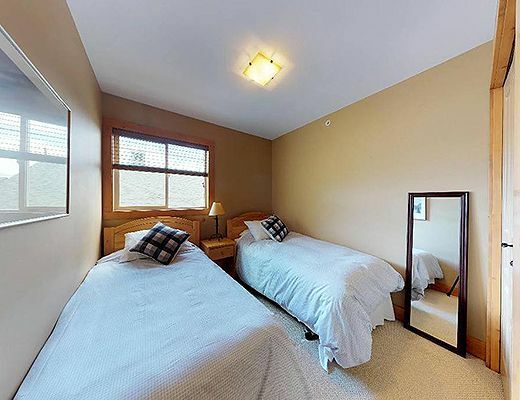 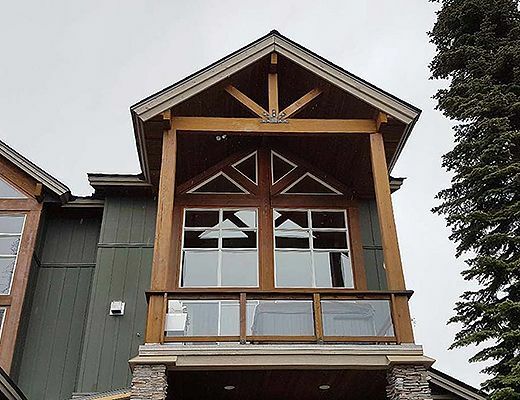 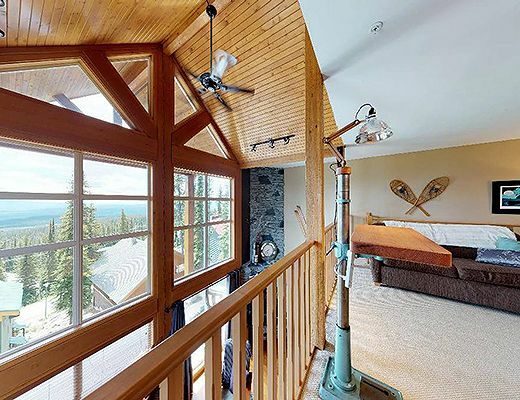 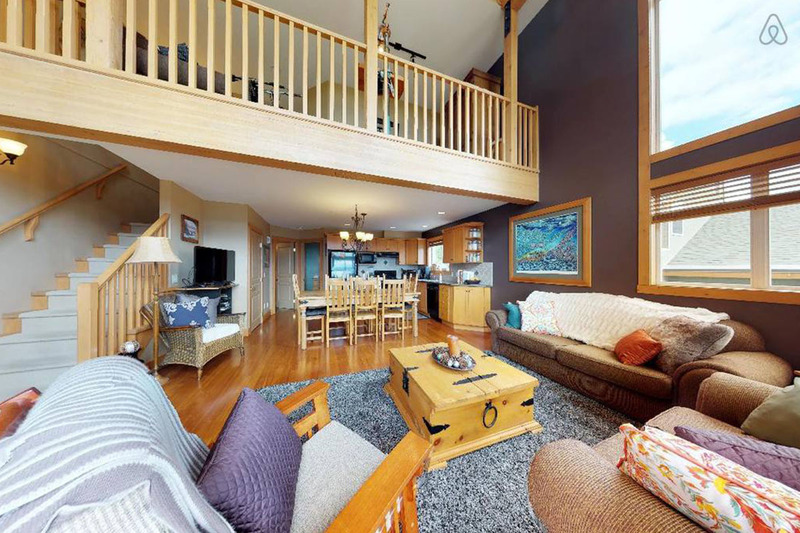 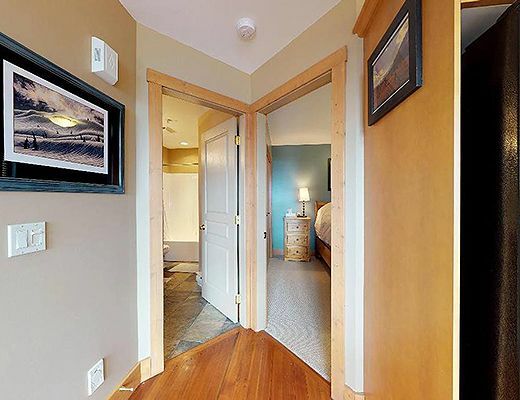 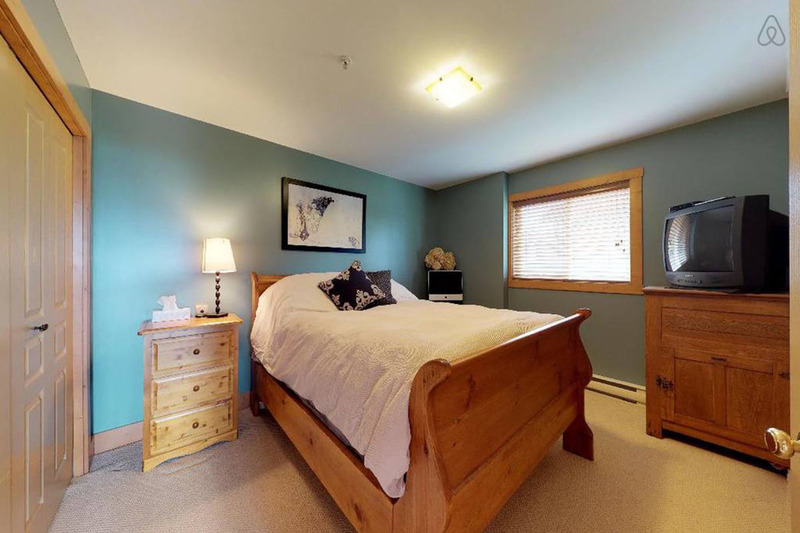 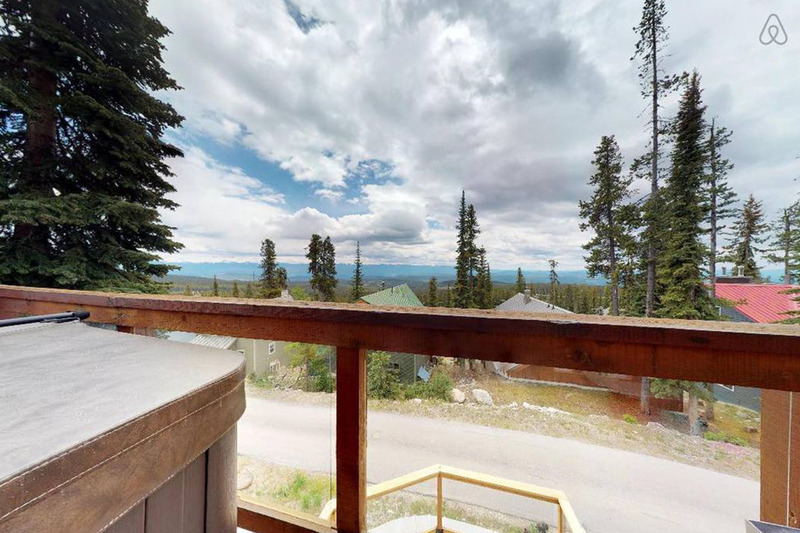 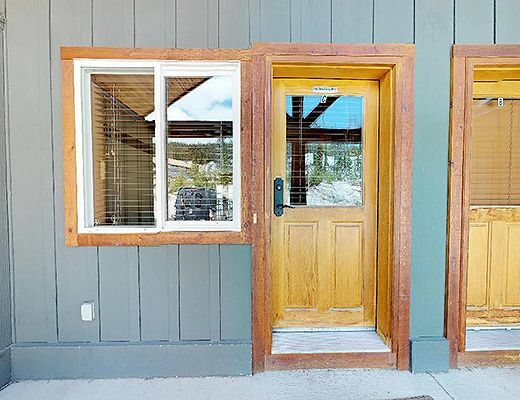 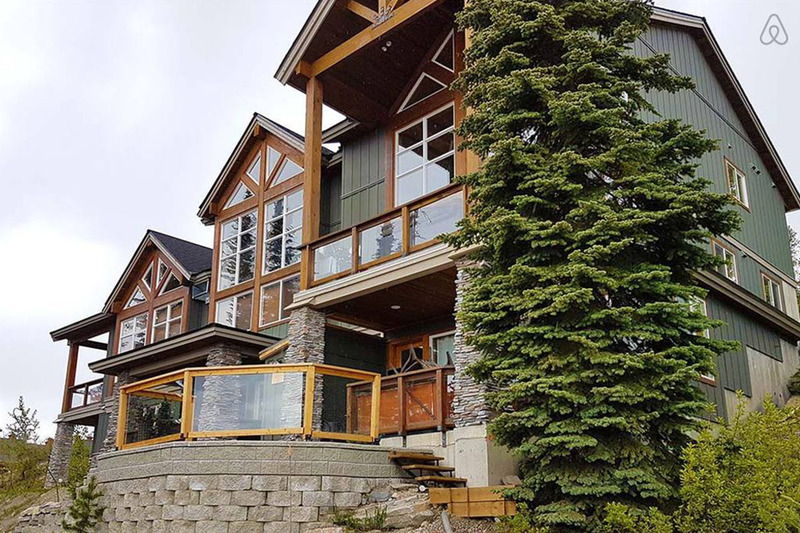 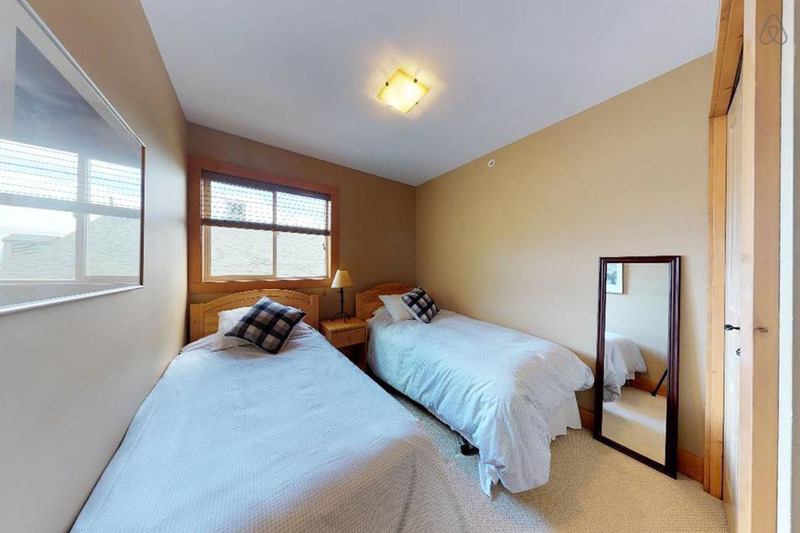 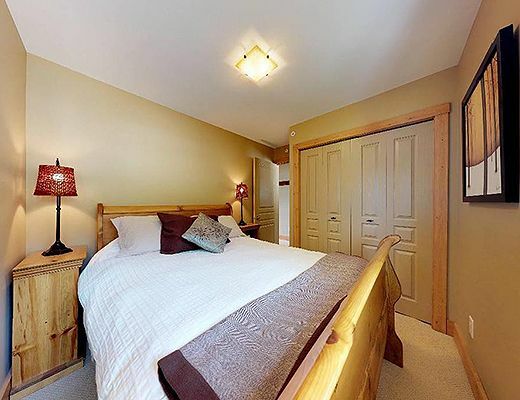 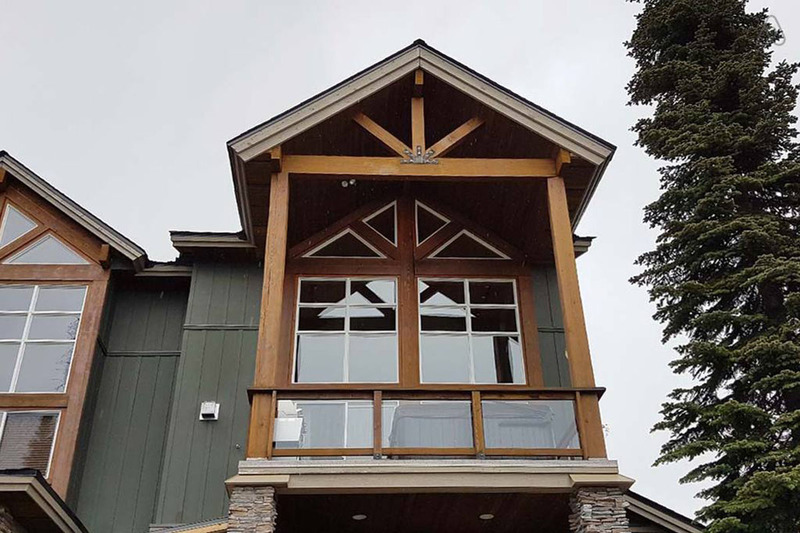 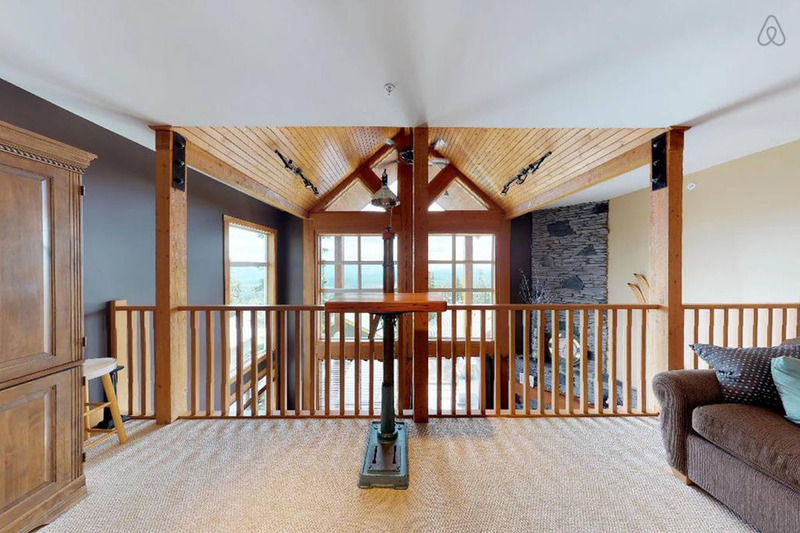 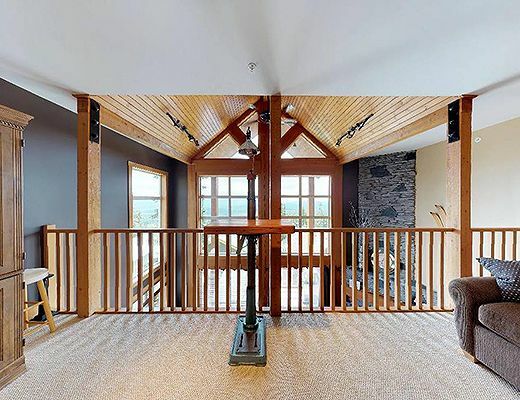 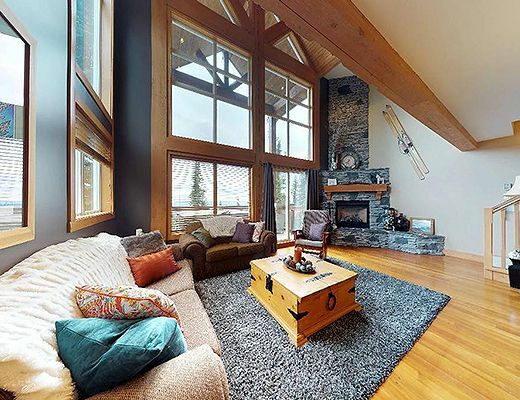 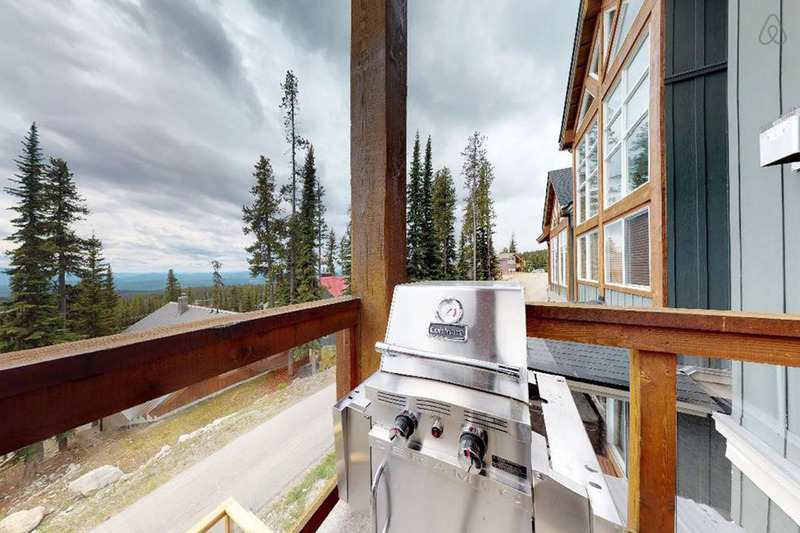 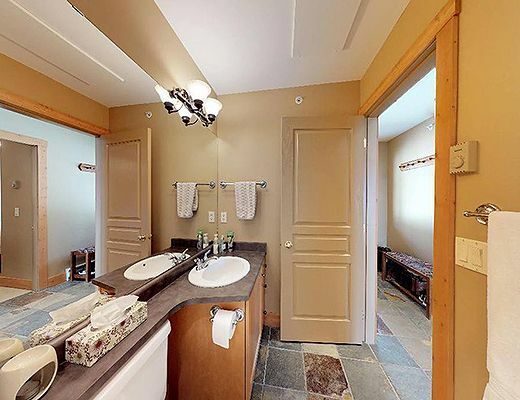 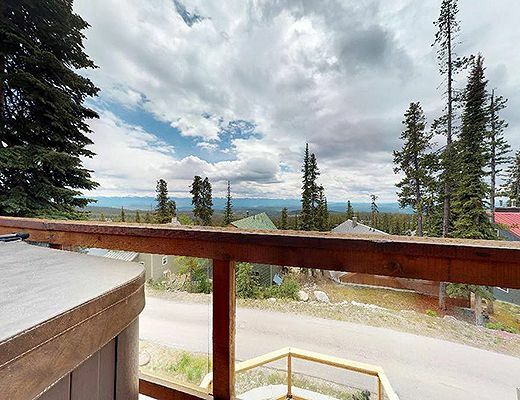 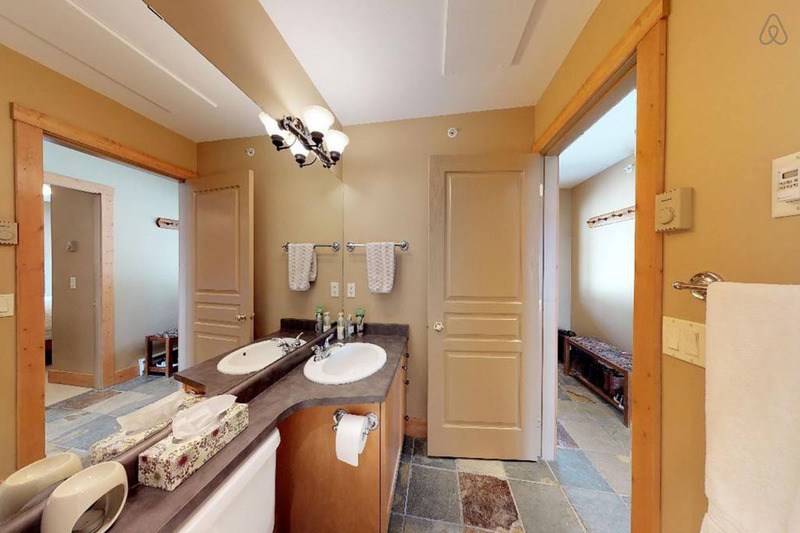 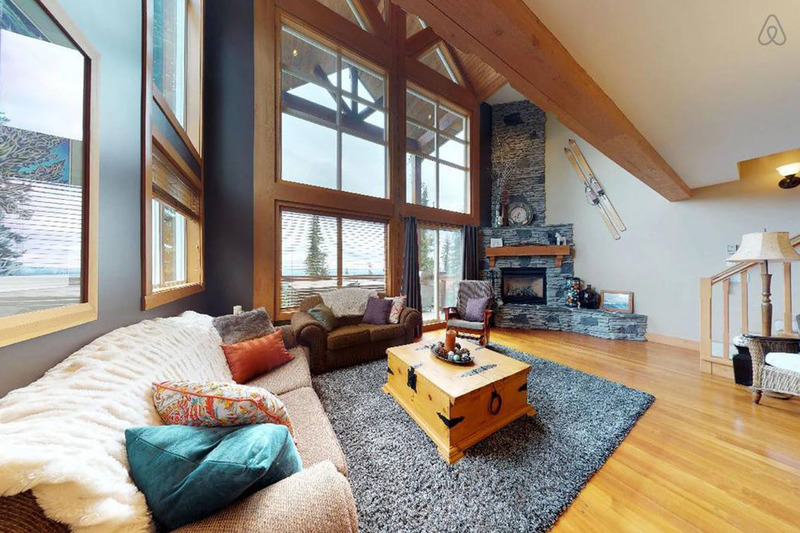 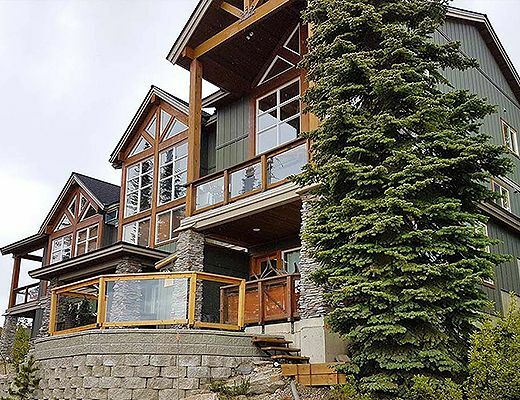 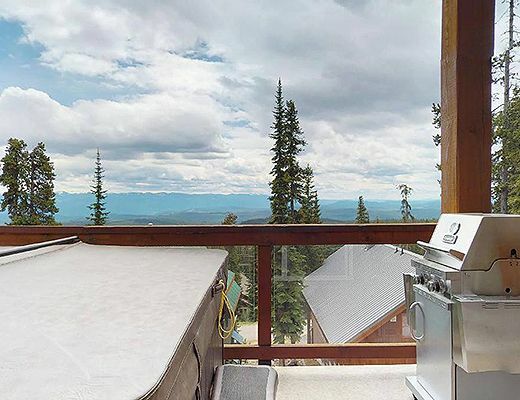 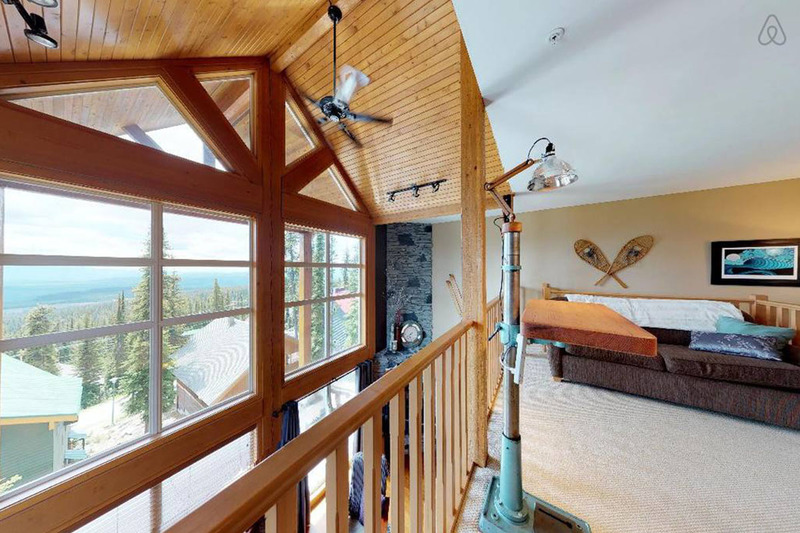 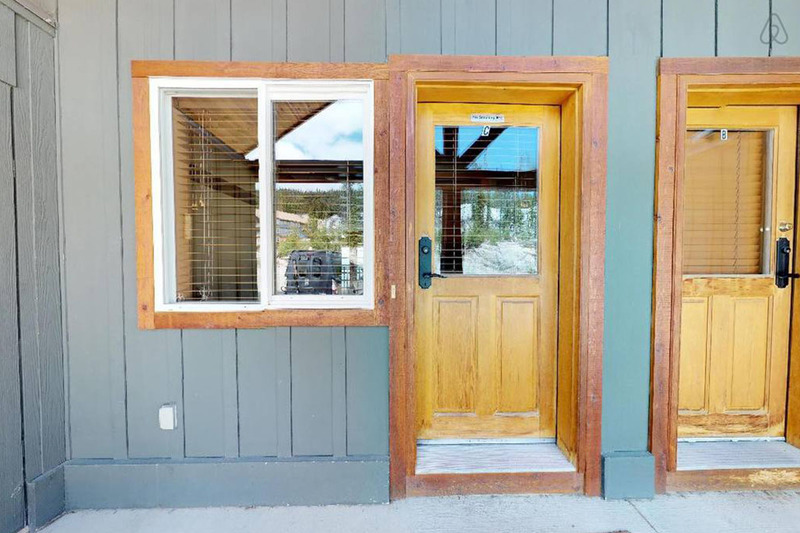 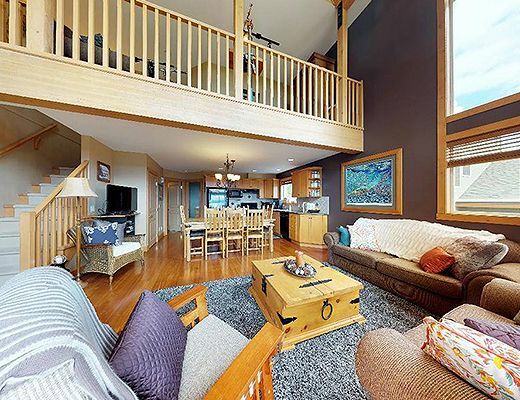 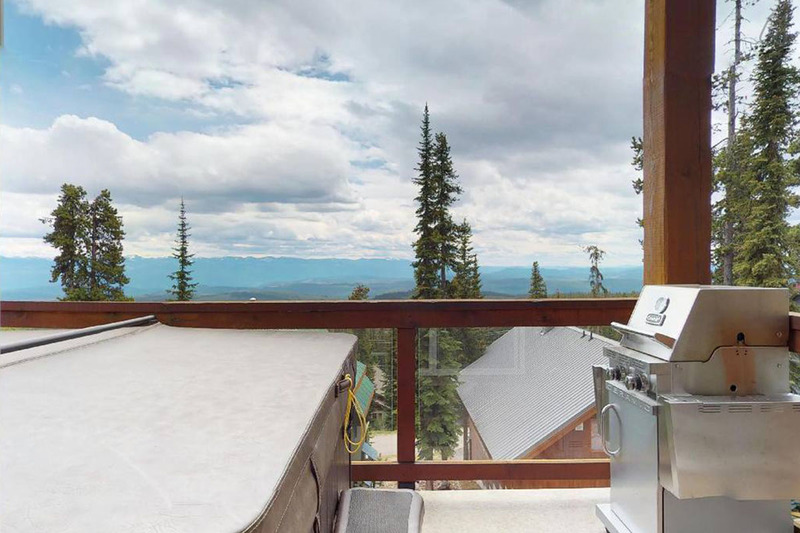 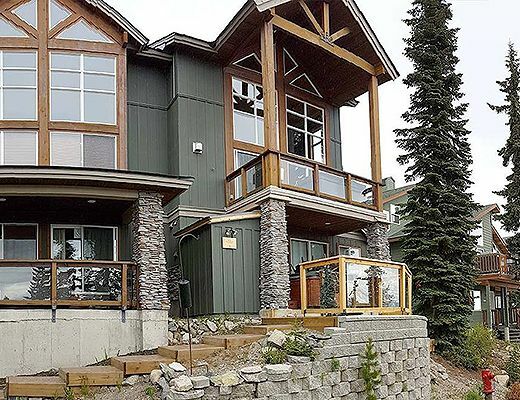 This chalet features convenient ground-floor access and offers two ski lockers.The entry way leads to a loft that showcases a panoramic view of the Monashee Mountains through floor-to-ceiling windows. 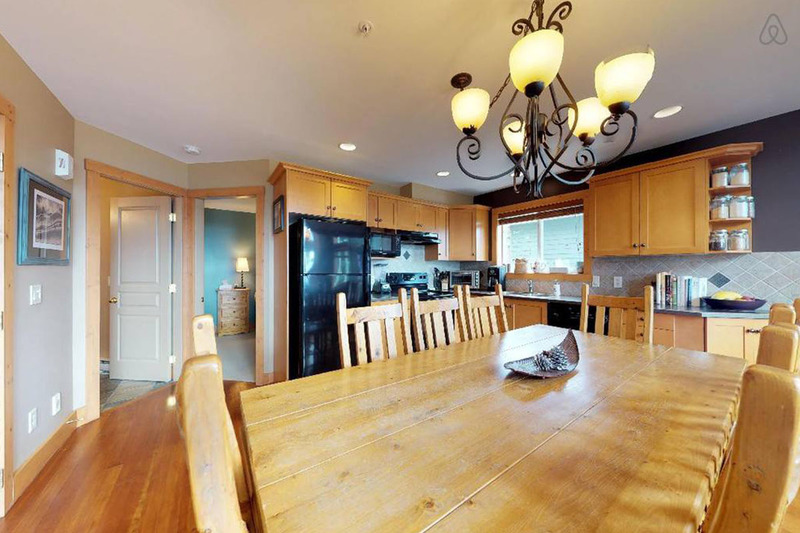 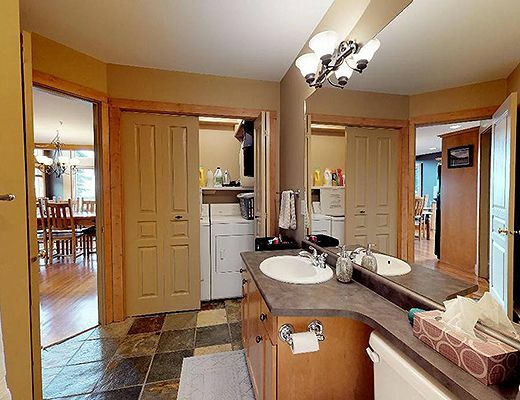 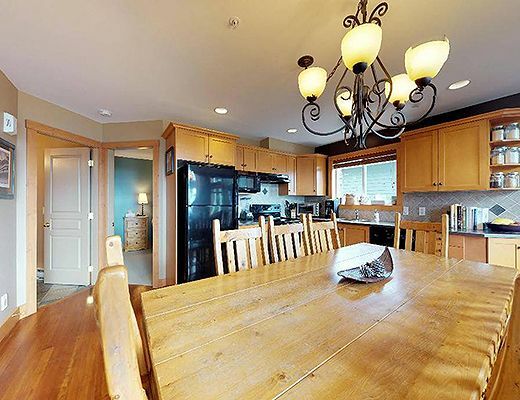 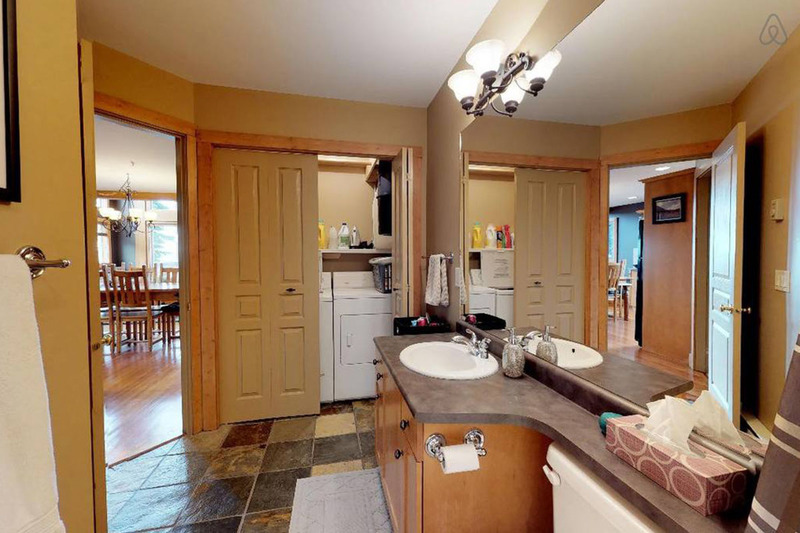 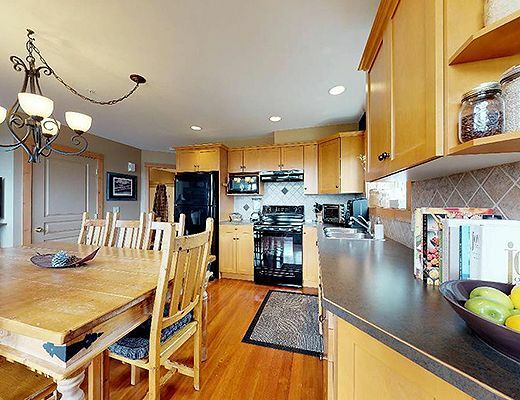 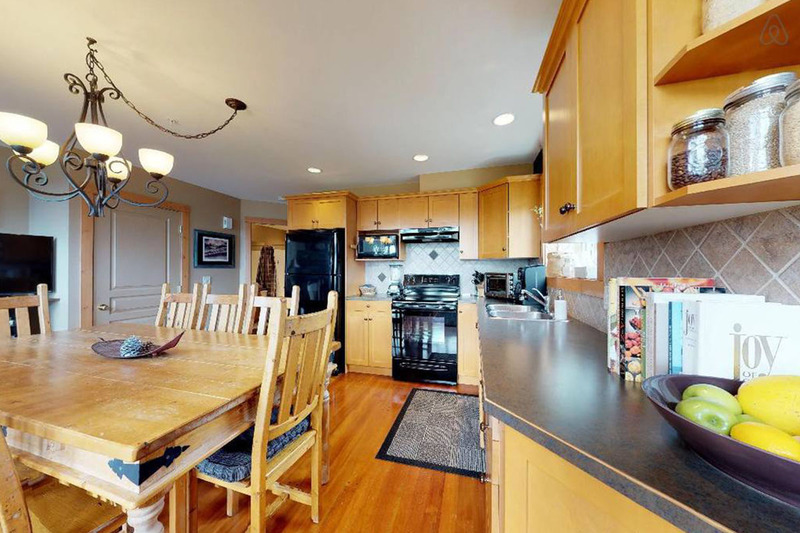 The open concept main floor boasts a generous, well-equipped kitchen with a farmhouse table and seating for eight. 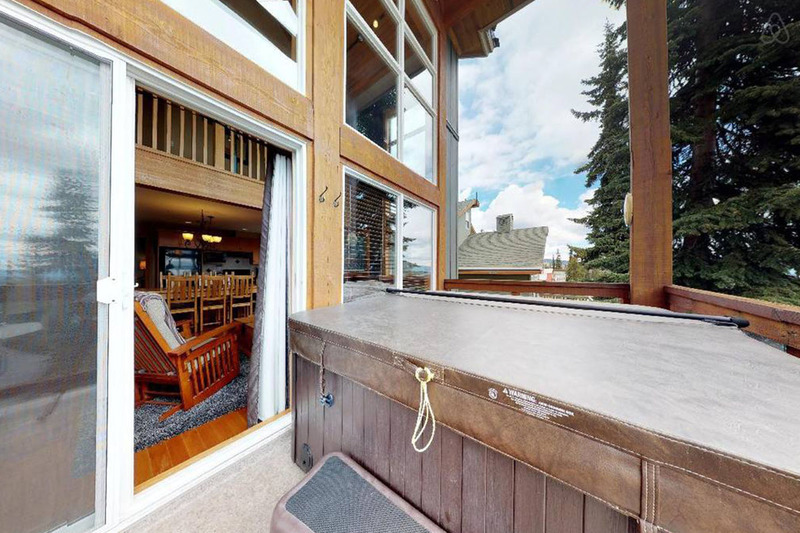 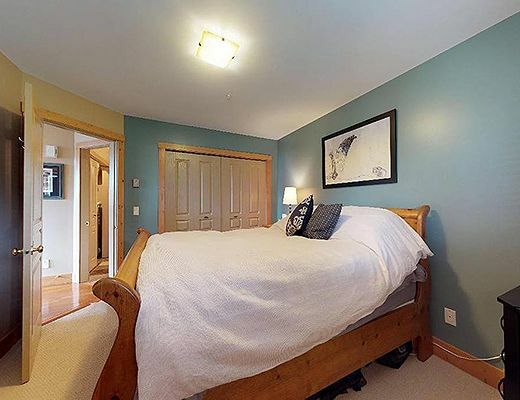 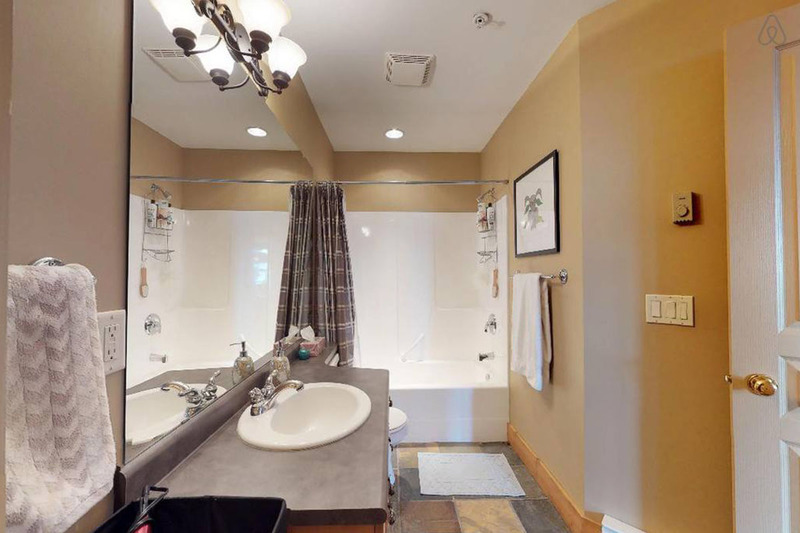 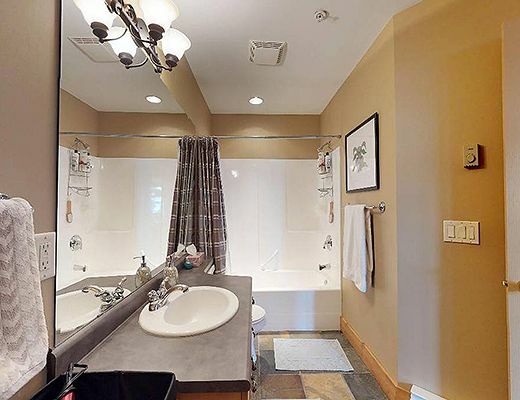 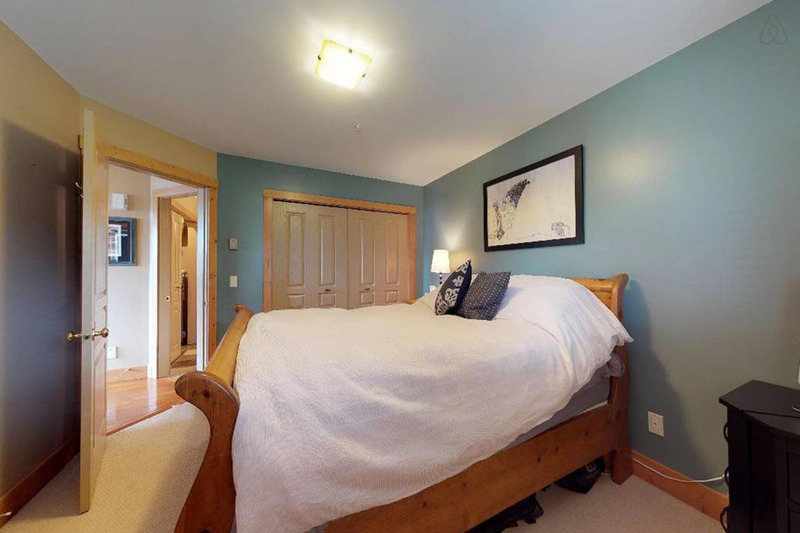 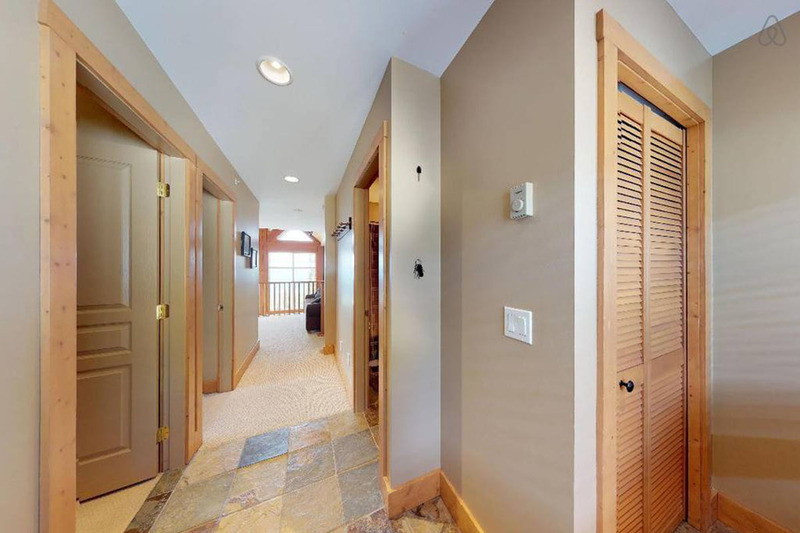 A deck with a private six person hot tub and barbeque is located directly off the comfortable family room. 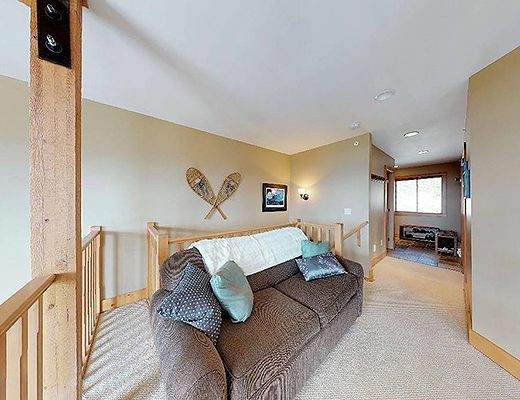 EVERYONE ALWAYS ASKS – IS IT TRUE SKI IN/OUT? 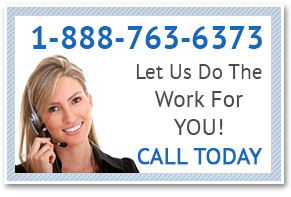 We are pleased to tell you YES, YES, YES! 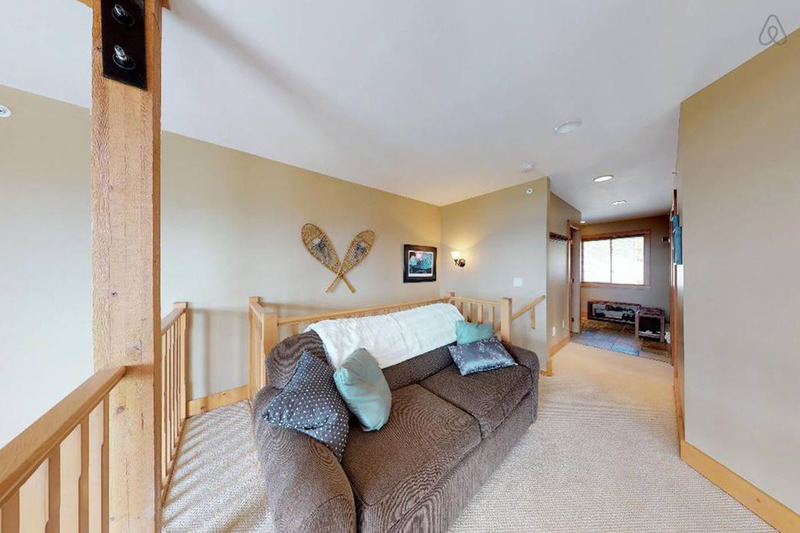 Ski out the front door directly to the Plaza, Ridge Rocket and Snow Ghost lifts. 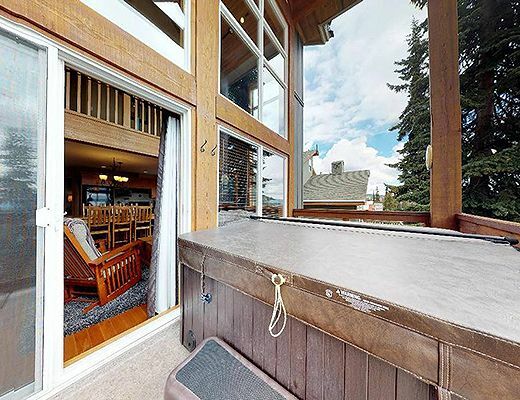 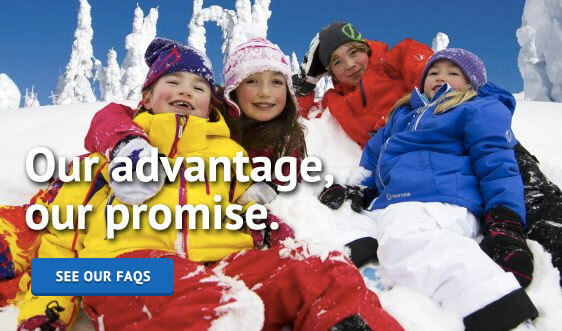 Special Note: A $480 cleaning fee and $150 hot tub fee apply to all stays.